There should be quite a few movies on your “To See” list this time of year, when all of the films hoping Oscar will come calling get released, and there are quite a few good ones this year. However, the film that should be at the top of this list is Moonlight, directed by Barry Jenkins and starring Mahershala Ali, Naomie Harris, Trevante Rhodes and André Holland. Moonlight follows Chiron from boyhood to adulthood as he tries to discover himself, while growing up in the rough surroundings of a Miami neighborhood that seems to not understand who Chiron is or what he’ll become. It is woven into three parts or chapters, starting with Chiron as a kid, then as a teenager and finally as a full-blown adult. Most of my favorite movies of all time deal with the human condition and experience. 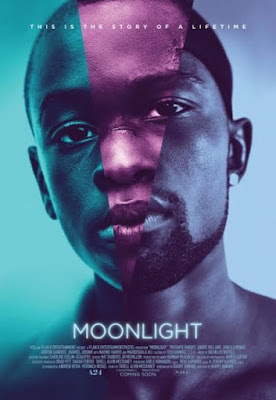 I find stories about a character’s struggle, endurance and perseverance, whether victorious or in defeat, some of the most interesting films out there and quite simply, Moonlight is one of the most realistic stories I’ve ever seen translated on film. It’s damn near flawless. Everything about this film is spectacular, from the characters and the acting to the directing and cinematography. There wasn’t a wasted scene anywhere to be found. Watching Chiron go through each experience, interacting with each character, how they make him feel and how goddamn relatable the whole thing was, made this film such an experience and pleasure to watch. You feel something for each character, whether it’s anger, disappointment, love, appreciation or heartbreak, the film pulls you in and forces you to participate. The relationships portrayed in this film are fragile and complicated. Each play a part in Chiron’s story of himself, as he looks for any form of tenderness and acceptance in his life. Each actor shows their skill in brilliantly interpreting the characters with such warmth and humility. The three actors who play the lead role of Chiron are stunning and the performances from all the actors are certainly award-worthy. It’s an absolutely beautiful film to look at and the editing really brings attention to the environment surrounding the characters. The film’s soundtrack contains beautiful scores and classic songs perfectly placed to strengthen the scenes. Finally, Barry Jenkins’ directing is fantastic, bringing out the greatest performances from his cast in order to fluidly and realistically tell this incredible story of human connection. The statement that Jenkins makes is clear and poignant and can be felt by everyone who steps into the theater to see this film. It’s remarkable. I promise to not give anything away here, but the diner scene near the end of the film...UGH! IT’S SO GOOD! And Barbara Lewis’ classic song “Hello Stranger” playing on the jukebox made the scene even better, adding so much to the emotional tension of the scene. There are quite a few movies I’m itching to see in the theaters in preparation for awards season, but Moonlight has definitely become my favorite movie of the year. It’s certainly a film that will be talked about for years to come.